He was on the ground for 20 minutes. For more than 20 minutes, Norman, a 1,700-pound horse, did not get up from the concrete ground. He was unable to, after collapsing in the middle of New York City traffic at 2 a.m. this past Labor Day weekend. According to a witness at the scene, the 14-year-old draft horse was pushed to the point of exhaustion. The witness, a man named Bogdan Paul Anghelut, told the New York Post that he saw the horse's driver screaming at Norman to make a green light. But due to fatigue, Norman was allegedly unable to follow through with the command. He fell and was seen to be breathing "slow and hard," according to Anghelut. After Norman collapsed, workers from the stables came to assist the horse, bringing him water and putting something in his mouth, Anghelut told the New York Post. After those long 20 minutes, Norman was able to stand up once again, with a police officer at the scene reassuring Anghelut that the horse was fine. Christina Hansen, a carriage industry spokeswoman, told the New York Post that Norman is a "klutz" and happened to trip himself on his way back to the stables after his shift. Anghelut shared the story and photos he took of the scene with several New York City departments and NYClass, a local animal advocacy group. In a statement addressing the incident, NYClass criticized New York City Mayor Bill de Blasio for not speaking up for Norman's case despite aligning himself with animal advocates - de Blasio is the first New York mayor to hire a point person for animal welfare issues in the city in recent history. "It is outrageous that in the year 2016, there are still carriage horses collapsing on Hell's Kitchen streets at 2:00 a.m.," NYClass said in the statement. 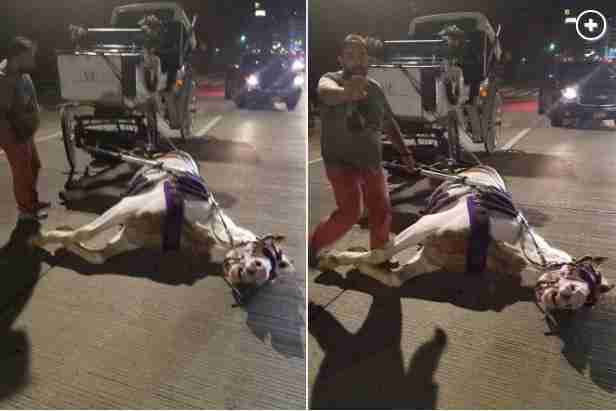 "Had this witness not come forward to report the incident to animal advocates, the public never would have known it even happened. How many other horse incidents have been hidden from the public?" Police records obtained by NYClass in 2014 detailed horrifying incidents where carriage horses collided with cars, bike riders and food trucks, among other previously undisclosed accidents which took place between October 2009 and April 2014. 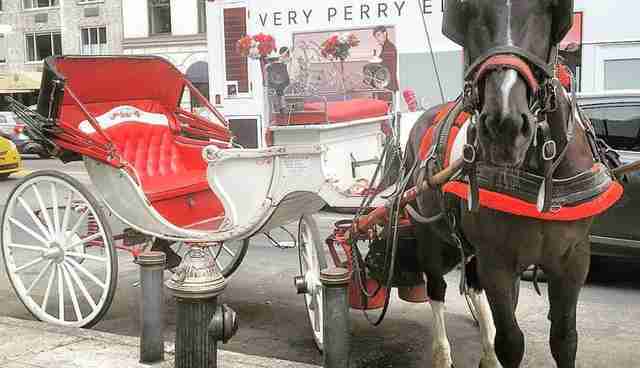 Change once appeared to be on the horizon for New York's carriage horses - a staple feature of Central Park for eager sightseeing tourists and romantics. De Blasio championed an initiative to limit New York's horse carriage industry, only to see the bill fizzle after it was rejected by the New York City Council. "In light of this tragic incident of the horse called Norman collapsing on a city street while pulling a carriage, and the dozens of other documented accidents over the years involving carriage horses on crowded streets, it is time for city leaders to bring an end to this antiquated institution," Joyce Friedman, New York City coordinator for the Humane Society of the United States (HSUS), told The Dodo. Not only are carriage horses forced to work in inhumane conditions, such as during heat waves, they're also prey animals - meaning that they have a strong "fight or flight" reaction that can be triggered when exposed to anything unexpected. That, combined with the busy New York City environment, makes it all too easy to overwhelm a horse - and makes accidents more commonplace. Want to help put an end to horse-driven carriages in New York? 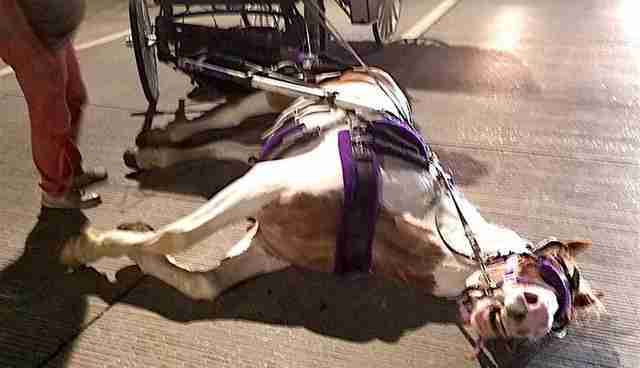 Sign NYClass' petition to ban horse carriages here. You can also contact New York City Council members here.